Rajasthan is situated in the north-western part of India, referred to as the Desert Jewel of India. A vibrant, exotic state where tradition and royal glory meet in a riot of colors against the vast backdrop of sand and desert. Arrive at Jaipur airport and you are transferred to your pre booked hotel. check in the hotel and relax for some time. Later Visit the palace museum that houses collections of rare manuscripts, armory, costumes, carpets and miniature paintings. 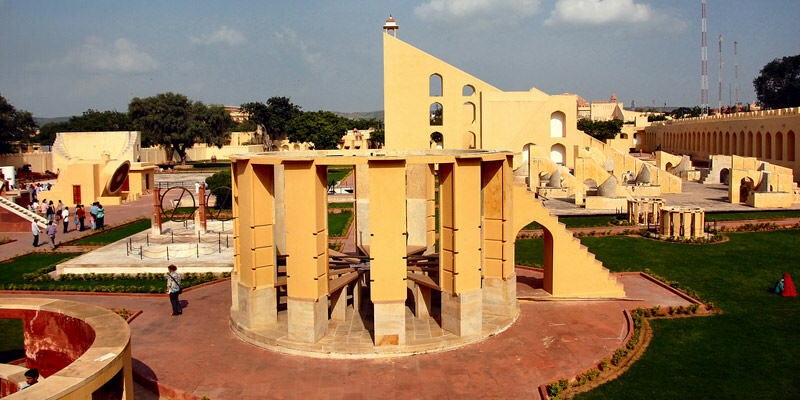 Walk to the adjacent Jantar Mantar an astronomical observatory built in 17th century. Lastly you will drive past the Hawa Mahal, a Palace of winds.In the evening, enjoy the dinner and stay overnight in the hotel. After Breakfast drive outside the Jaipur city to visit the Amer fort an ancient capital of Jaipur, you will see magnificent palaces with walls covered with mirrored mosaics. Rest of the day is at leisure for shopping and own activities, overnight stay in Jaipur. After Breakfast explore the famous sightseeing of Udaipur visit Saheliyon-Ki-Bari & Maharana Pratap Smarak. Then you may proceed to visit the Museum of folk arts, vintage car museum followed by the City Palace & Crystal Art Gallery. Stay overnight in Udaipur. After Breakfast check out the hotel and you are transferred to airport/railway station for your onwards journey. If you are not able to make up your mind from the tour itinerary or hotels listed above in "Explore Pink city with Pushkar and City of Lakes 5 Nights Package", then we can also make the changes and provide a customized, tailor-made vacations, especially for you. We can modify this tour package as per your date and budget.